Boldly making its presence known last night during the Spike VGX Awards, No Man’s Sky is the latest project by indie studio Hello Games (Joe Danger), and the latest title to emerge in the apparent Space-Sim Revival of 2013. Alongside the gorgeous combat of Enemy Starfighter and the trade-and-fleet management of Limit Theory, No Man’s Sky looks to focus primarily on planetary discovery and exploration, offering the player endless solar systems of procedurally-generated planets that they can seamlessly land on and explore by foot. I’m getting strong Noctis vibes from the concept and trailer, and I’m pleased to see yet another amazing-looking space sim coming from the indie community. It’s a good time to game. Routine is an upcoming first-person survival horror title set on an abandoned lunar research station. The game features some roguelike elements, such as permanent death and randomized hazards and key item locations. The game’s three-person development team has also emphasized that there will be no HUD or scoring systems so as to increase the immersion. They are hoping to provide support for the virtual reality headset Oculus Rift at release. Lunar Software originally announced that Routine would be coming out in March or April this year, but have since changed the release date to sometime in 2013, given the increased scope of the game. It has already been Greenlit on Steam. After six years in development, and on the ten-year anniversary of the original Half-Life mod, Unknown World Entertainment’s Natural Selection 2 has finally been released into the wild. Natural Selection 2 combines the multiplayer FPS and RTS genres in a showdown of the alien Kharaa vs the Frontiersman marines. 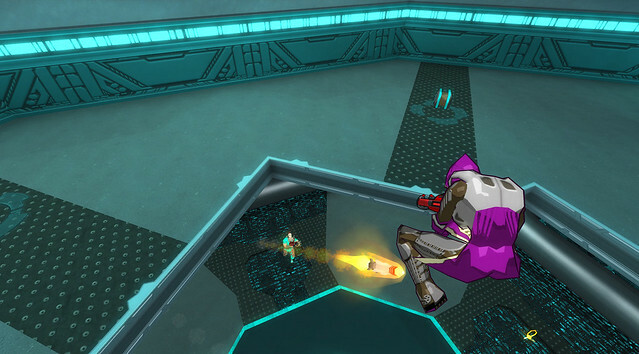 Although the gameplay of the two sides differs in units, weapons, and attacks, each is commanded by a single player who views the game from a bird’s-eye perspective while their teammates duke it out on the ground in gun-and-tooth combat. Securing and holding resource nodes, researching (or evolving – in the case of the Kharaa) more powerful upgrades and units, and working as an organized team are key to winning in NS2, and it will be interesting to see what sort of strategies emerge and shift over time. Speaking of shifting gameplay, NS2 also boasts an impressive suite of mod support, and players have already created new content ranging from new maps to entirely different gameplay modes. This active community element, in combination with steady support, feedback, and events from the development team over at Unknown Worlds, ensures that Natural Selection 2 will continue to evolve well into the future. 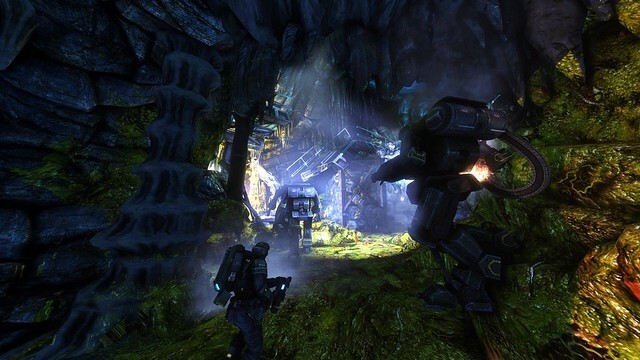 Natural Selection 2 can now be purchased on Steam for $24.99. Wolfire has released the first content update for their “7-day” FPS Receiver, which includes a flashlight, a S&W Model 10 revolver, a Glock 17, and the ability to move your guns closer to the screen through the settings menu. Players who already own Receiver can get the update free from the Humble Store. You can purchase the game for $5 on its website or by pre-ordering Wolfire’s main project, Overgrowth. Warsow is a free, open source competitive FPS game built on Qfusion, a heavily modified version of the Quake 2 engine. In development for 7 years, the design is based on Quake 3 but adds new movement abilities – such as dashing, wall jumping, and ramp sliding – that are accessible via a special key. Additionally, Warsow has a number of features that make it easy to modify the game and spectate matches. The game finally reached version 1.0 yesterday. Receiver is a new game from Wolfire Games, created as part of the 7-day FPS Challenge. Set in a randomly-generated building complex, the most exciting concept in Receiver (at least for me) is the realistic weapon handling, which lets you, for example, remove your pistol’s magazine to count your ammo. The movement and physics are also quite impressive but that’s not a big surprise, considering that this is the team currently working on Overgrowth. You can play Receiver for free by pre-ordering Overgrowth or you can purchase it separately for $5 from the game’s website. 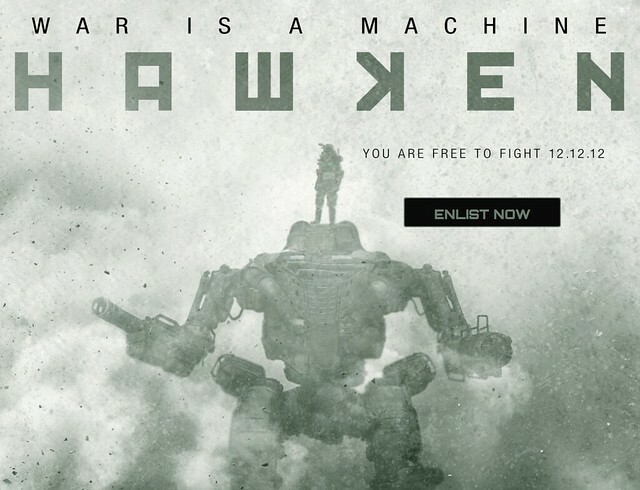 “Head on over to PlayHawken.com to sign up for the Hawken beta! No new videos have been released recently, but the latest previews of this mech combat game were posted earlier here. The long-in-development indie FPS/RTS title Natural Selection 2 has reached an important milestone: The gorilla-like evolution for the alien team, the Onos, and the marines’ jetpack accessory (both of which were important facets of the original Half-Life mod that NS2 is the sequel to) are now in the game. These additions, along with a brand new map, “Mineshaft,” are just some of the over 100 new features, balances, and tweaks for this build, which is now available to all pre-order customers. 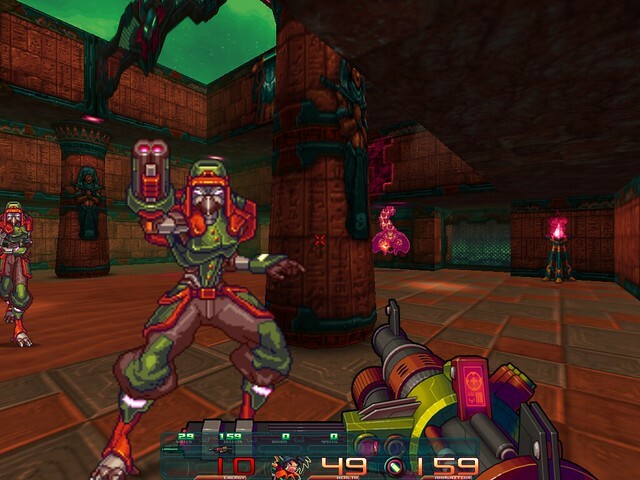 Amil Parra’s RetroBlazer is an FPS built on the modified Quake engine called DarkPlaces. Currently in alpha state, the game evokes Wolfenstein 3d more than either Doom or Quake, with mostly flat level designs save for a few instances where enemies rain pipe bombs down on you from higher platforms. The camera is locked to a single plane, which makes those areas particularly annoying (the worst being a large maze in level 6). Hopefully later iterations of this project will offer more interesting scenarios, as it’s otherwise pretty enjoyable. It looks good, too. You’ll probably need to fiddle with the controls and video mode, also.